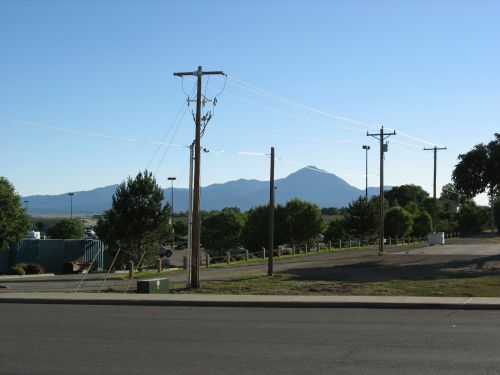 If you stand at the Four Corners monument and look in the direction of Colorado you will see Sleeping Ute Mountain dominating the view. From this direction you are looking at the southwest side of the mountain, and in front of it you see the southern piedmont. On the right side of the piedmont, though not visible from this distance, is Cowboy Wash. It’s one of several ephemeral streams running from the mountain itself across the piedmont to the San Juan River. One thing that might strike you about the view from this perspective is that it looks like an awfully dry, desolate, uninhabitable wasteland. And you would be correct to think that. 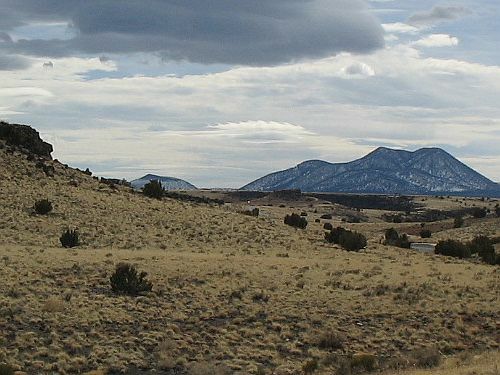 The southern piedmont of Sleeping Ute Mountain is an extremely arid and inhospitable environment even by the standards of the Southwest, which is saying something. It’s only a few miles from Mesa Verde to the east and the Great Sage Plain to the north, both areas that get relatively abundant rainfall and supported large and prosperous prehistoric communities, but it is worlds away from them environmentally. While those areas get sufficient rainfall to support dry farming, and the Great Sage Plain is commercially farmed even today, the southern piedmont does not, and any type of agriculture there would have to rely on some sort of irrigation. Today the Ute Mountain Ute tribe has a large irrigation project in the area, using water brought in from McPhee Reservoir, 45 miles to the north, via the Towaoc Canal. The construction of the reservoir and the canal was part of the Dolores Project, which involved substantial archaeological excavation of the inundated area that significantly improved archaeological understanding of the prehistory of the region. 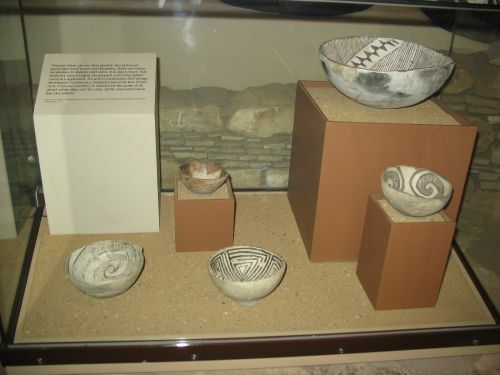 This work took place from 1978 to 1985 and was known as the Dolores Archaeological Project, the largest salvage archaeology project in US history. The creation of the irrigated fields on the piedmont resulted in further salvage excavations in the 1990s. Among the sites excavated was 5MT10010, which contained considerable evidence of a gruesome incident of probable cannibalism around AD 1150. It is not the only site in the area to show evidence of cannibalism during this period; in fact, three other sites in the same community, excavated slightly earlier in connection with the construction of the canal, also showed evidence of having been destroyed in an incident involving extensive processing of human remains in a way suggesting cannibalism, and there are several other sites in the area showing similar assemblages, most from the same period but at least one from a later period. It is at 5MT10010 that the most solid evidence for actual cannibalism, as opposed to processing of bones in a way that may or may not indicate actual consumption of human flesh, in the form of a coprolite that tested positive for the presence of human muscle tissue. There are many questions that arise from these findings, but one of the most puzzling is also one of the simplest: what were people doing living at Cowboy Wash in the first place, and how did they manage it? After all, they weren’t building giant dams and canals of the sort involved in the Dolores Project. 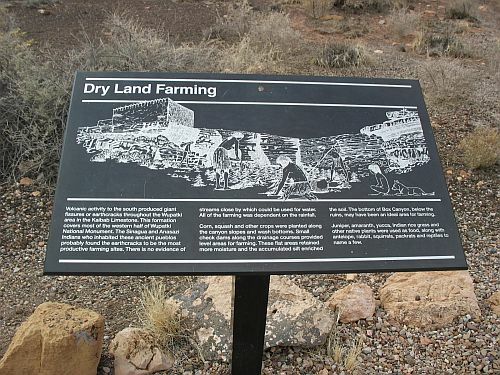 In many parts of the Southwest, especially upland areas like Mesa Verde, dry farming using only rainfall was standard during this period, and water control techniques were generally used only for domestic water if a nearby spring or other reliable source was not available. There are a few springs on the southern piedmont that probably would have supplied sufficient domestic water for the small number of people living there, but the rainfall would definitely not have been sufficient to farm with. The only source of water at all sufficient for agriculture would have been the occasional floods, from spring snowmelt and summer thunderstorms, that would flow through Cowboy Wash itself and the other drainages on the piedmont. None of these flows permanently today, and there is no evidence that they ever did. As at Chaco Canyon, then, which is similarly dry, farming would have to have been based on some sort of technique for capturing the floodwater. There are a variety of ways this might be done, including diverting the rainwater from cliffs, as was done at Chaco, planting along the sides of the drainage where the floods would regularly overflow the banks, and what is known as “ak-chin” farming, as practiced by the O’odham of southern Arizona, which involves planting right in the path of the runoff at places where the velocity of the water is relatively low, as at the mouths of tributaries to main arroyos. There are no sheer cliffs on the southern piedmont like the ones at Chaco, so probably a mix of overbank and ak-chin farming would have been practiced at Cowboy Wash.
A paper by Gary Huckleberry and Brian Billman addresses the nature of farming at Cowboy Wash, and also addresses a related issue, which is whether periodic entrenchment of arroyos due to drought played a role in the patterns of abandonment and migration that characterize Southwestern prehistory. It is pretty clear by now that the paleoclimatological record shows periods of drought corresponding to periods of abandonment of certain parts of the Southwest, and one proposed mechanism for how this would have worked is that drought would have led to increased erosion and/or hydrological changes in the water table that led to the entrenchment of arroyos, which would have been disastrous for populations dependent on certain types of floodwater farming (especially overbank), as the broad floodplains of the local drainages would have been replaced by deep channels that took the water away quickly instead of letting it overflow to water the crops. Ak-chin farmers would not necessarily have been affected to the same degree, but if the side drainages they used became entrenched as well they would not have been able to use their techniques either. Thus, drought would lead to arroyo-cutting, which would lead people to leave formerly productive areas for others that were less affected. This theory has been proposed as an explanation for certain events at Chaco, with the idea being that some of the social changes late in the Chacoan occupation were due to degradation of the Chaco Wash and the need to change agricultural strategies. The phenomenon of arroyo-cutting in general is richly illustrated in historic times at Chaco. 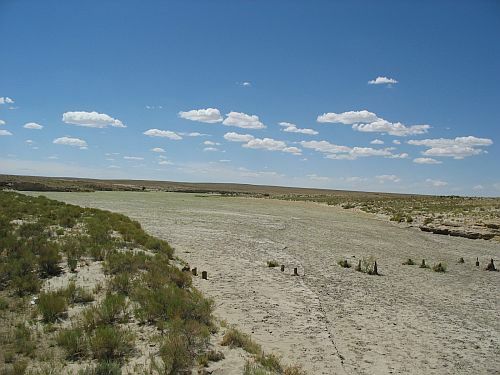 The early reports of the Chaco Wash from the nineteenth century indicate that it was a shallow, meandering drainage, much like the current condition of the Escavada Wash to the north and the “Chaco River” that is formed by the confluence of the two at the western end of the canyon and flows north to the San Juan. 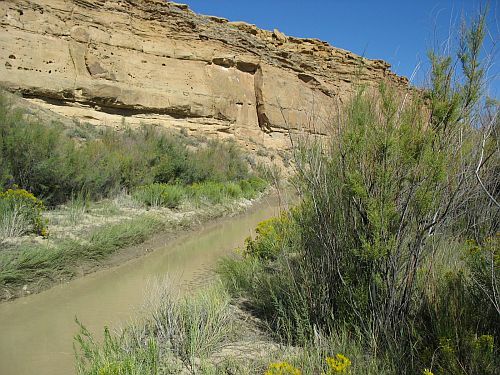 By the early twentieth century, and accelerating since then, however, the Chaco Wash through the canyon has cut down significantly and there is a very deep arroyo channel apparent today. The drought-downcutting-abandonment theory makes sense as far as it goes, but as Huckleberry and Billman point out there are some problems. For one thing, the extent to which arroyo-cutting is actually linked to drought, rather than other factors including the specific geology of the area, is hotly debated and there is no consensus. The idea that while drought may be one factor causing arroyo-cutting there are other factors involved as well is supported by the fact that in different drainages in the Southwest that have been studied in depth the periods of arroyo-cutting do not necessarily correspond to region-wide droughts or other climatic changes. In some areas they do, but in other areas they don’t. At Cowboy Wash specifically, the available evidence indicates that the wash began to entrench sometime before AD 950, and that it began to refill with sediment sometime between AD 1265 and 1400. If abandonment does in fact correspond to arroyo-cutting, then presumably the Cowboy Wash area should have been abandoned between 950 and 1265, and possibly occupied before and after this. If downcutting results from drought, there should also be evidence of drought during the 950 to 1265 period. The basic upshot of the Huckleberry and Billman paper is that neither of these expectations is met. The evidence for drought conditions at Cowboy Wash generally matches that for the rest of the region, with the major droughts in the mid-twelfth century and late thirteenth century AD and several smaller droughts at irregular intervals before then. This doesn’t show any particular relationship to the stratigraphic evidence for arroyo-cutting, which seems to have been going on to some degree throughout the period from AD 950 to at least AD 1265. Furthermore, the evidence for settlement doesn’t line up either. The marginal nature of the Cowboy Wash area implies that it would probably not have been occupied for most of prehistory, and this was indeed the case. There were a few ultimately unsuccessful attempts to colonize the southern piedmont, however, and they don’t show any particular relationship to the periods of arroyo-cutting (although they do perhaps relate to periods of drought). The first agricultural occupation of the area came during the Basketmaker III period, when a few pithouses were apparently used seasonally as summer fieldhouses, presumably associated with nearby fields, from about AD 600 to 725. After these were abandoned, at a time which may correspond to a drought, the area does not seem to have been occupied again for more than three hundred years. Then, around AD 1050, a few permanent, year-round sites were built. These seem to have been occupied for only a few years, however, as there was no significant buildup of trash associated with them. After they were abandoned, three larger villages, including one at Cowboy Wash, were established around AD 1075. These had extensive trash deposits and seem to have been occupied for one or two generations. These communities were apparently abandoned, however, when the next occupation began in the 1120s by a population with apparent links to the Chuska Mountain area to the south. This occupation at Cowboy Wash is the community that was apparently destroyed around AD 1150 (again coincident with a major drought) when its inhabitants were mutilated and cannibalized. After this event, the area was once again abandoned until about AD 1225, when two new communities were founded, including one again at Cowboy Wash. 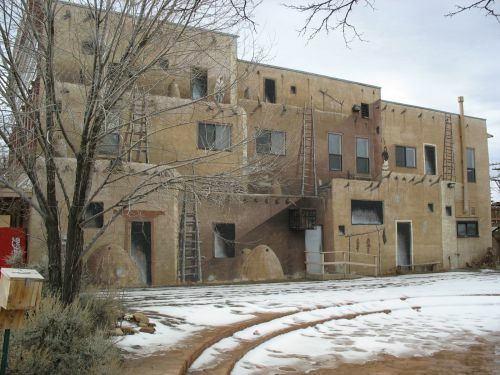 Within a few decades the population at Cowboy Wash appears to have aggregated at Cowboy Wash Pueblo, following a typical pattern for the region. Also typical of the region, the whole southern piedmont seems to have been abandoned by AD 1280, at the time of the “Great Drought” that coincides with major changes throughout the Southwest. So basically, all of the attempts at year-round occupation of the southern piedmont seem to have occurred during the period that Cowboy Wash was being downcut. While these were all ultimately unsuccessful, some lasted for a few decades, so clearly they were able to grow some food at some times. This strongly implies that at least in this case, arroyo-cutting was not particularly linked to abandoned, although drought probably was. Huckleberry address the issue of how farming could have been done during periods of downcutting by looking at Cowboy Wash and its tributaries today. They find that while some portions of the main wash, especially, are indeed heavily downcut, other portions are not, and they label this type of drainage a “discontinuous ephemeral stream,” which is to say, a normally dry wash with some portions that are severely downcut and others that are not. On the uncut portions, which include much of the length of the tributaries, overbank or ak-chin farming could easily be done today, and this was presumably the case in antiquity as well. The hydrology of the area is such that the areas of downcutting would not have been stable, and would have tended to migrate upstream, but the complexity of the system is also such that this would not have made the entire system unusable; while some parts were being newly cut, others would be filling in, and prehistoric farmers would merely have to move their fields around a bit rather than abandoning the area entirely. All that being said, however, the question of why people were trying to settle this quite harsh and difficult area in the first place. It is interesting to note that the attempts at settlement generally came during periods of relatively favorable environmental conditions, which would have made this area a bit less forbidding than usual, as well as during times of increased regional population, when all the good land may well have been taken and some people were forced to seek out the more marginal areas. The violence that appears to have accompanied the drought of the twelfth century, especially, suggests that when the good times came to an end social relations got very bad very fast. Huckleberry and Billman suggest that the reason people did end up abandoning Cowboy Wash, the times when they were not attacked, was merely drought itself, which they were unable to cope with as well as other populations, even those who also used floodwater farming techniques, because the size of the watershed was relatively small and the amount of rainfall feeding the washes was also small, so the total amount of water they had to work with was much smaller even in good times than at place like Chaco with large watersheds. In that context, even a small decrease in annual precipitation could be devastating, leading to failed harvests and the need to move away. Indeed, there is evidence that the time of the massacre at Cowboy Wash was very difficult for the people there. Archaeobotanical studies of pollen and other plant remains showed that there was apparently little or no maize in or around 5MT10010 at the time of abandonment, which is quite surprising for a Pueblo site. The plant remains that were there were mostly from wild plants such as chenopod, amaranth, and tansy mustard, all of which would have been available in the spring and likely would have been intensively collected if there were no stored corn available due to a failed harvest the previous fall. In addition to pinpointing the season in which the incident occurred, this implies that times were very tough for the inhabitants of 5MT10010, and perhaps for their attackers too. The coprolite showed no sign of having plant material in it, which suggests that whoever left it had not just eaten some corn at home before setting out to attack 5MT10010. Another paper associated with the project, by Patricia Lambert, suggests another problem the Cowboy Wash inhabitants apparently had: disease. In this paper Lambert reports on analyses of ribs of individuals at 5MT10010 and other sites in the Cowboy Wash area dating to various periods of occupation that had lesions on them suggestive of those seen in modern collections of individuals known to have died of tuberculosis and (to a lesser extent) other respiratory diseases. These lesions were found in 11 of 32 individuals from Cowboy Wash that had enough of their ribs left to examine. One of the individuals with lesions was from 5MT10010. This was an adult woman who was not one of the victims of the attack at site abandonment but who had instead died earlier and been formally buried. Lambert also examined comparative collections of remains from Pueblo Bonito at Chaco and Elden Pueblo near Flagstaff Arizona. Only 3 of the 45 individuals from Pueblo Bonito and 2 of the 20 from Eldon Pueblo had similar lesions, suggesting that this disease was much more prevalent at Cowboy Wash than at these other sites, even though it was not absent at them. Lambert notes that tuberculosis is an opportunistic disease that tends to strike people whose systems are compromised by other problems such as hunger and stress. The evidence for physical violence in the Cowboy Wash sample, even setting aside the cannibalism assemblages, was much greater than in the other two samples as well. Combined with the harsh environment, this suggests strongly that Cowboy Wash was a difficult place to live for several reasons. Farming was possible but risky, and when conditions turned bad both hunger and violence from other hungry people were constant threats. Given this context, the occurrence of extreme events such as cannibalism incidents at Cowboy Wash starts to make some sense. Cowboy Wash is a place of extremes. Was There Any Cannibalism during the “Great Drought”? The best-known examples of probable cannibalism in the prehistoric Southwest all cluster in a very short period of time and in a relatively small geographic area: around AD 1150 in the area surrounding the modern town of Cortez, Colorado. Perhaps the most solidly documented of these assemblages is the one at Cowboy Wash on the southern piedmont of Sleeping Ute Mountain, which has been reported in several publications. There are sites with reputed evidence of cannibalism that fall outside of these narrow temporal and spatial boundaries, but most of them that have been adequately dated seem to fall earlier rather than later. In addition to sites like Cowboy Wash where cannibal incidents occurred during the long drought of the mid-twelfth century AD, there are some sites that seem to date to the tenth century, and perhaps the ninth and eleventh as well. What has not been as well documented is any evidence of cannibalism later, especially during the major drought in the late thirteenth century that coincided with the total abandonment of the Mesa Verde region. Indeed, the authors of the Cowboy Wash articles note that there is no evidence for cannibalism in the Mesa Verde region after AD 1200. This is actually rather odd, since environmental conditions during the “Great Drought” of AD 1276 to 1299 were surely at least as bad as those during the twelfth-century drought, and the area had a significantly larger population as well. If, as many have argued, assemblages like Cowboy Wash were the result of warfare between communities in the region spurred by dwindling resources, it seems logical that there might be similar assemblages from the later drought period. There is certainly plenty of evidence of warfare and concern for defense. It could be that whatever it was that inspired some communities in the twelfth century to cannibalize others when attacking them failed to inspire later communities to do the same, even when faced with similar conditions. There is evidence from at least one site, however, indicating that there may actually have been some cannibalism accompanying the warfare of the late thirteenth century. 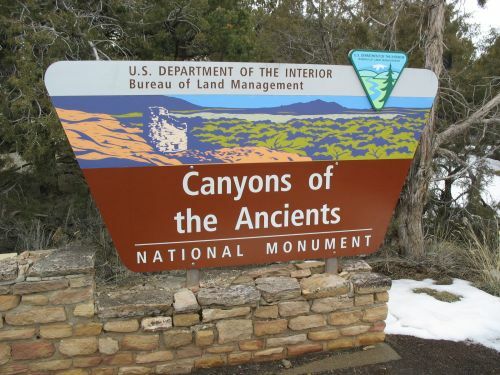 An article by Kristin Kuckelman, Ricky Lightfoot, and Debra Martin published in 2002 reported on evidence for violence at two sites in Canyons of the Ancients National Monument partially excavated by Crow Canyon Archaeological Center. 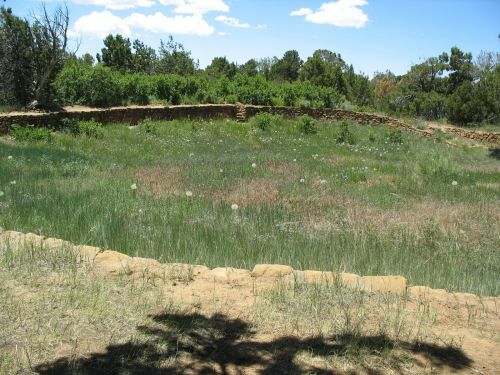 One of these, Sand Canyon Pueblo, we have encountered before; it had an enclosing wall that seemed to indicate concern for defense, and as this article relates there were also eight individuals found there who seemed to have died violently, perhaps defending the community from attack. There was no evidence of cannibalism at Sand Canyon, however, and since very little of this large site was excavated it is hard to tell what the handful of violent deaths signify or whether the attack that apparently killed them led to the abandonment of the community. It does seem to have occurred around the time of abandonment, which was also the time that the whole region was abandoned, so it would make sense if the end of Sand Canyon Pueblo came violently. The other site, however, was rather different. This was Castle Rock Pueblo, a smaller site a few miles from Sand Canyon. Here at least 41 individuals who died violently were found, at a site that probably only held about 15 households total with a total population of maybe 75. Since only a small portion of the site was excavated and yet remains representing at least half of the probable number of site residents were found, it is very likely that the entire site was destroyed, and all its residents killed or captured, in a raid at the end of site occupation, sometime around AD 1280 or 1285. In addition, many of the bones found showed clear evidence of processing similar to that found at Cowboy Wash and other twelfth-century cannibalism assemblages. This implies that at least some of the victims of the raid were eaten, although the lower number of processed bones relative to the total number of bones suggests that this was only done with some portion of the dead, which may mean that starvation would not have been the main motivation behind the cannibalism in this case. Several tools and pottery vessels at the site also tested positive for human myoglobin, using similar methods to those used to identify the contents of the coprolite at Cowboy Wash, again strongly suggesting that they were used to process and cook human muscle. All this suggests that cannibalism was in fact practiced after AD 1200 in the Mesa Verde region, at least at this one site. Since no other site from this period has shown evidence of cannibalism, however, even though evidence of warfare is common, it seems to have been an unusual occurrence, which does still leave the difference between the numerous incidents of cannibalism during the twelfth century and this isolated one during the thirteenth as an open question. Debra Martin was one of the authors of the critique of the initial Cowboy Wash article, and she seems to have been responsible for the parts of the critique that addressed the analytical methods and data reporting in the article. Since she was also a coauthor on the Castle Rock article, it serves as a useful glimpse of what she meant in the critique. The tone and structure of this article are very different from the Cowboy Wash one. The tone is restrained, with the word “cannibalism” used sparingly and often replaced by “anthropophagy” (which means the exact same thing but sounds more technical and scientific), and a footnote discusses Crow Canyon’s consultation with its Native American advisory group and notes the objections some members of the group had to the publication of the article. The reporting of the data and analysis is very careful and thorough, and the text pointedly mentions that this is for the benefit of other scholars, to allow them to evaluate the information for themselves. The article never explicitly contrasts this with the approach of the Cowboy Wash team, but the implicit reproach is obvious. This article also includes a useful discussion of who the attackers might have been. It is generally thought that other Puebloan groups rather than other cultural groups, such as nomadic hunter-gatherers, were responsible for attacks like this, and the authors of this study generally agree, although they do note the presence of a projectile point of a non-local type from east-central Utah as one possible piece of evidence for a cultural difference between attackers and victims. 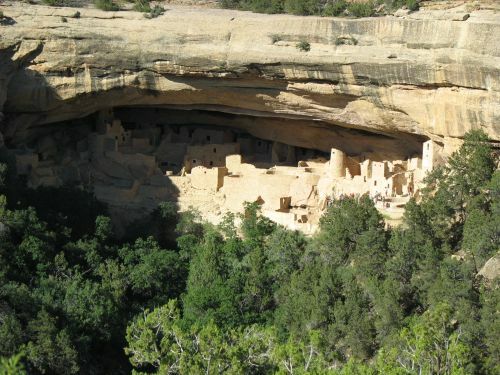 They then discuss which communities in the Mesa Verde region would still have been populous in the 1280s to defeat Castle Rock, which was a relatively small pueblo but was in a pretty defensible location and would have taken a fairly large force to overrun. They conclude that Sand Canyon, Yellow Jacket, Mesa Verde proper, and possibly Hovenweep were still occupied at the time, and that any of them could conceivably have been the attackers. They also note that groups from outside the region, especially in the Kayenta area to the southwest and the Totah area to the south, could have been involved, either on their own or in alliance with local groups. Figuring out which of these groups was actually to blame is tricky, however. With the twelfth-century cannibalism sites there is a division between “victim sites” like Cowboy Wash, where people were apparently cooked and eaten at the location that had been attacked, and “perpetrator sites” where bodies were brought from sites that had been raided and eaten at the attackers’ home base. Castle Rock is clearly a victim site, but since it is the only known cannibalism site dating to this period no known perpetrator sites that might reflect the attackers have been identified. One of the major contributions of this paper, in addition to documenting thirteenth-century cannibalism in the Mesa Verde region, is in specifically tying cannibalism to warfare. In most documented cannibalism assemblages, including at Cowboy Wash, the bones have been so heavily processed that any evidence of the cause of death is obliterated, so it can be impossible to tell if the victims died violently or died some other way and were then eaten, perhaps by starving members of their own communities. Since the Castle Rock assemblage contains many instances of violent death without apparent cannibalism, in addition to some examples of cannibalism, all of this having happened at the same time, it makes a strong case that cannibalism was in fact associated with warfare during this period, which in turn implies that it probably was during the twelfth century as well. This is an important finding in the attempt to figure out what these gruesomely enigmatic sites mean for the prehistory of the Southwest. What Happened at Cowboy Wash? In comments to the previous post, Graham King raises an important question: assuming that the assemblages of broken, burned, and otherwise unusually treated bones at sites like 5MT10010 at Cowboy Wash represent incidents of cannibalism, what does this mean culturally and historically? After all, cannibalism has occurred in various contexts in many societies, including our own, and it can arise from a variety of causes. One of the most obvious is starvation, seen most often in situations like the plane crash in the Andes made famous in the movie Alive and incidents during the settlement of the American West such as the Donner Party and the Alferd Packer case, all of which involved small groups being trapped in mountains under harsh conditions and resorting to cannibalism to survive. If the individuals at Cowboy Wash had died natural deaths, the demographics of the dead should reflect the differing susceptibility to harsh conditions of different age groups, which generally means a higher death rate among infants and a lower one among older children and adolescents. Since the 5MT10010 assemblage contained no infants but a higher than expected number of older children, it is unlikely to have resulted from natural death. Unlike in the historically documented cases, the people at Cowboy Wash were not physically trapped. There was nothing preventing them from moving away from the area if there were insufficient resources. 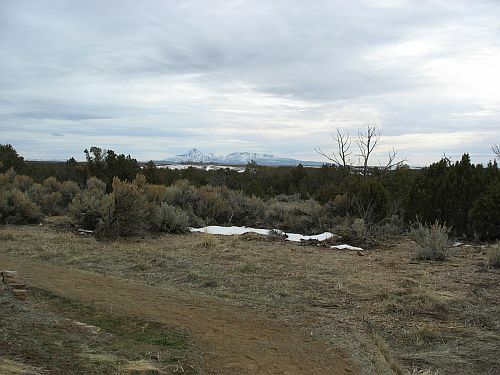 The southern piedmont of Sleeping Ute Mountain is pretty flat and open, rather than mountainous, and the abandonment of the sites there apparently took place in the spring, when snow would not have been an issue. Neither of these arguments is very convincing. The assemblage of cannibalized individuals at 5MT10010 looks demographically unusual, sure, but then again it apparently consists of only seven people. That’s a minimum number, of course, but since the whole site was excavated and it wasn’t a large site to begin with it seems likely that the recovered bones represent most or all of the people involved. If the assemblage represents the inhabitants of the site, which the excavators claim and I see no reason to doubt, they likely represent a family or other social unit, and it’s quite possible that they just didn’t happen to have any infants in the group at the time of the event. In any case, with a population this small there is no reason to expect any sort of “normal” demographic profile. The second argument is better, but still somewhat unconvincing. It’s definitely true that the inhabitants of Cowboy Wash wouldn’t have been snowed in at the time of the abandonment event, which apparently took place in the spring, but it’s not necessarily true that they would have had somewhere else to go. This was a time of drought and resource shortages throughout the northern Southwest, and there is considerable evidence for violence (even leaving aside the alleged cannibalism incidents) throughout the region, including at other sites in the Ute Mountain area, at the time. Indeed, Cowboy Wash is a very marginal area for agriculture to start with, so the fact that they were there in the first place, and that they had not already left when the harvest failed, implies strongly that they had nowhere else to go. Under those circumstances, it is certainly conceivable that some community residents might have begun to succumb to hunger or disease and others in the community may have resorted to eating them. That’s not to say that it’s likely or the best explanation, of course. One piece of evidence arguing against this interpretation, which the excavators mention but don’t go into much detail on, is that all the processing seems to have taken place at the same time, rather than drawn out over a period of weeks or months as might be expected if people were gradually dying and being eaten. Instead of survival cannibalism, the Cowboy Wash excavators prefer a scenario of intercommunity violence to explain the 5MT10010 assemblage. This implies that the people who ate the residents of 5MT10010 also killed them. This sort of explanation does fit well with the other evidence for violence short of cannibalism in the region during this period, but it is tricky to show any correlation between violent death and cannibalism because the processing of the bodies would likely eliminate any skeletal evidence of violent death. That does seem to be the case in this assemblage, as in most other alleged cases of cannibalism. There’s plenty of evidence of skeletal trauma, of course, but most of it seems to be directly related to the processing of the bodies shortly after death, and much of the rest seems to represent injuries incurred during life that had healed before death. In this case, then, there is no direct evidence linking alleged cannibalism to violent death. One piece of evidence supporting the “raid by other group” theory is that three other sites in the Cowboy Wash community, contemporary with 5MT10010, have also been excavated and all three show similar signs of cannibalism. Since there are only ten sites in the whole community, the fact that four of them seem to have been rapidly abandoned at the same time that many people in them were eaten seems to imply that the abandonment was the result of a single event. As the authors of the 5MT10010 paper point out there and in more detail in another article, however, there are some differences among the four assemblages and even between the assemblages in the two pitstructures at 5 MT10010 containing large numbers of bones. Although all four sites show evidence of processing for consumption, the specific body parts that are most prevalent and the way they were processed suggest that the processing was done separately at each site and not in accordance with a common technique. For example, at 5MT10010 the bodies found in one pitstructure appeared to have been cut into small pieces and cooked in a pot on the surface, with the bones thrown down the ventilator shaft after consumption. At the other pitstructure, however, the bodies seem to have been cut into fewer pieces and roasted directly on a fire in the hearth inside the structure. All this suggests that if in fact the Cowboy Wash community was destroyed by a raid, the raiders who attacked each part of it seem to have acted fairly autonomously in deciding how to deal with the inhabitants, even though they all apparently had the common goal of eating them. This is actually rather odd, and does seem to undermine the idea that warfare was behind the cannibalism at Cowboy Wash. It is possible, however, that raiding and survival cannibalism aren’t mutually exclusive, and that the raiders of Cowboy Wash may have attacked it specifically in order to eat the people there because they themselves were starving. The excavators do mention that the meat from a cannibalistic attack may have been a valued “spoil of war” during harsh environmental times like this, but they generally downplay this aspect and focus more on the idea that cannibalism would have served as a terroristic tactic to strike fear in the hearts of enemies and perhaps scare them away from the area. (The two are not necessarily mutually exclusive, of course.) The fact that the people in the different parts of the Cowboy Wash community were apparently prepared differently does seem more compatible with the idea that the attackers were focused on eating them because they were hungry than with the idea that they were concerned with striking fear into any survivors or other nearby villages. The terroristic theory seems to imply a ritualistic approach to the cannibalism, which is not particularly apparent in this or any other Southwestern cannibalism assemblage. Any type of ritual cannibalism would likely have been more standardized in execution, as in Mesoamerica where ritual cannibalism was widespread. In the Southwest, by contrast, the execution seems rather haphazard. So, tentatively, I think the best explanation at least for Cowboy Wash specifically, and perhaps for other cases as well, is that certain communities in the Mesa Verde area during the extended drought of the mid-twelfth century AD hit upon the idea of compensating for their poor harvests by attacking other communities, not to take their stored food (since they likely didn’t have any either) but to eat their residents. Which communities these might have been and where they got the idea remain open questions. This idea led to a rash of cannibalism incidents around AD 1150 which subsided soon thereafter, perhaps as climatic conditions improved (or, alternatively, as other communities got better at defending themselves). When the next major drought came, in the late thirteenth century, the idea of cannibalistic raiding does not seem to have been taken up again. The authors of the Cowboy Wash articles take pains to note that there is no evidence of cannibalism in the Mesa Verde area after AD 1200. Although there is plenty of evidence of violence during the late 1200s preceding the total depopulation of the region by 1300, none of this involved cannibalism. Or did it? There is actually some evidence from at least one site suggesting that the idea of cannibalism did not totally disappear from the Mesa Verde area after 1200. But that’s a matter for another post. Wupatki is a very dry place even by the standards of the Southwest, with annual precipitation averaging about 8 inches. Human habitation in such an arid landscape is therefore highly dependent on capturing as much available moisture as possible. It appears that the prehistoric inhabitants took advantage of the volcanic ash laid down over the area by the eruption of Sunset Crater in AD 1064 for farming purposes since it acted as a mulch, retaining water from the summer rains that would otherwise have evaporated in the heat and strong winds. For other purposes such as drinking, cooking, and construction, however, water trapped in the soil isn’t very useful, so other sources needed to be found. As at Chaco Canyon, which is similarly dry, some of this water would have come from a few springs in the area, especially in the dry season, but it would also have been useful to capture as much of the runoff from the summer rains as possible. Due to the geology of the Wupatki area, this water could only be used for floodwater farming in a very few places, but there were other ways to take advantage of it. One such way was apparently shown by a discovery made by two National Park Service archaeologists in the 1940s. While out evaluating sites for stabilization needs, Albert Schroeder and Philip Van Cleave found some potsherds on the ground in sufficient number to make them think that they might be reconstructible into something approaching the original vessel. They picked up the sherds and dug a bit into the ground beneath them to see if there were any more. Sure enough, just under the surface of the ground there was a whole ring of sherds in place, indicating the presence of a broken but substantially complete jar that had apparently been deliberately buried. They excavated it and took some pictures, and Schroeder wrote up a short article on the discovery for American Antiquity which was published in 1944. The jar was of the ceramic type Moenkopi Corrugated, which Schroeder dates to AD 1075 to 1275. This is unfortunately a quite wide date range, encompassing almost the entire period of substantial prehistoric occupation of Wupatki, so it is not possible to say at what point during the occupation the jar was buried. From its position, however, Schroeder was able to determine that it was likely placed to capture runoff from the summer rains. 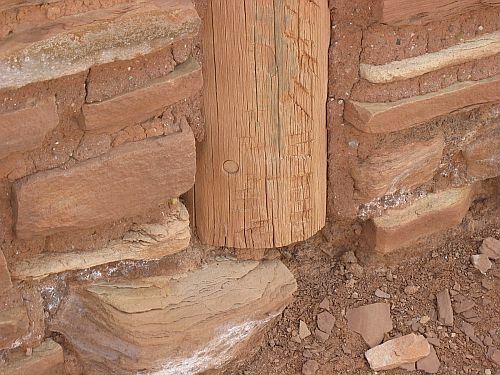 It was buried in the sand underneath one of the sandstone ledges that are so common at Wupatki, so one possibility is that it was placed to capture runoff from the ledge. Indeed, it seemed that the part of the ledge above the jar naturally collected runoff from a wide area of the sandstone outcrop. At the time Schroeder and Van Cleave found the jar, however, the water pouring off the ledge fell somewhat short of where the jar was. Schroeder suggested that there may have been some erosion in the period between the time the jar was buried and the time it was found, such that at this time of placement the ledge extended further out and the runoff may have poured directly onto the jar. If this was not the case, however, the jar was probably buried with the sand level with or a bit higher than the rim, so that runoff from the sandy ground around the jar rather than the ledge above would flow into the jar. Either way, it seemed apparent to Schroeder that the purpose of the jar was likely to collect water, which makes sense in such an arid environment. He admitted to being somewhat unsure of the details of his proposal, and he did not venture any theories as to what the water would have been used for or why a jar was used in this way to collect it. Obviously the amount of water in a single jar would not have been much for agricultural purposes, so I suspect the water was used for household use. To be so used, depending on how close the household in question was (which Schroeder unfortunately did not mention), the jar could either have been dug up after filling or left in place. In the latter case, the water could have been taken out with a ladle and transferred to a canteen or some other sort of vessel for transportation. I don’t have any sort of major point to make about this paper, but it’s interesting as an example of the kinds of adaptations people make to harsh environments. 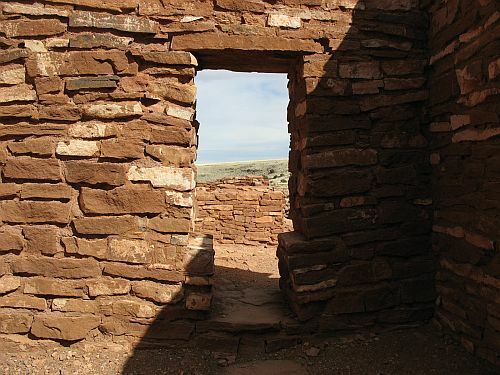 Wupatki would have been a hard place to live in prehistoric times, but people gave it their best shot. The paper by Glenn Davis Stone and Christian Downum that I mentioned in the last post, which evaluated the archaeological record of the Wupatki area of northern Arizona in the light of Ester Boserup‘s theory of agricultural intensification, was based largely on the data from an extensive archaeological survey of Wupatki National Monument done by the National Park Service in the 1980s. This data is presented in a more complete form in an earlier paper that Downum cowrote with Alan Sullivan. This paper looks at the previous models proposed for the settlement and abandonment of Wupatki in the context of the new data from the survey. 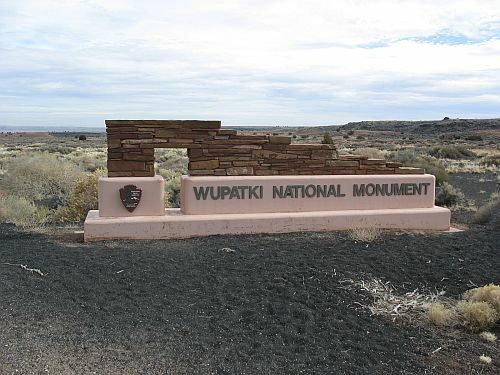 The most influential model for the prehistory of Wupatki has been that presented by Harold Colton of the Museum of Northern Arizona based on work done in the 1930s and 1940s. 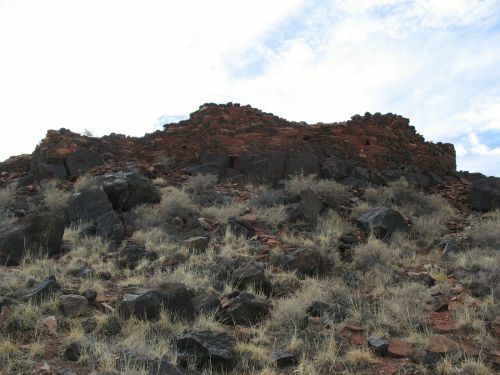 Colton saw the extreme aridity of Wupatki as having discouraged settlement there until the eruption of Sunset Crater Volcano in AD 1064 spread a layer of volcanic ash over the area. This ash acted as a natural mulch to retain water from the infrequent rains which would otherwise evaporate from the thin soil. 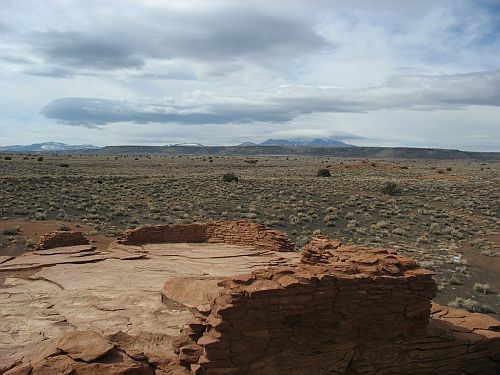 Colton looked at the large number of sites that seemed to have been built in the aftermath of the eruption and saw a “land rush” in which people from all over the local area come to Wupatki to take advantage of the improved conditions for farming from the ash fall. 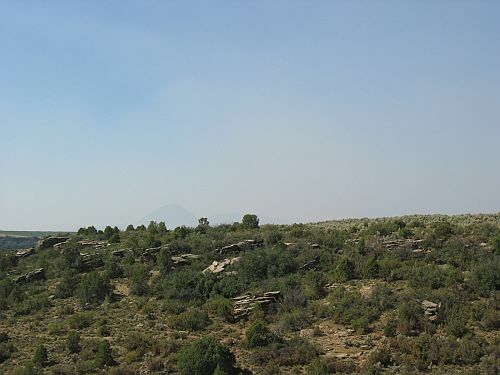 Over time, however, the ash cinders began to blow away in the strong winds and the productivity of the land declined, so the people began to aggregate into the large pueblos for which the Wupatki area is best known. Once in these aggregated villages, the poor sanitary conditions of living in such close quarters, combined with the continuing decline of agricultural conditions, forced the abandonment of the whole area some time in the thirteenth century. This is a plausible story on the face of it, but Colton’s account has been challenged more recently by other archaeologists who point out that a great many of the structures built soon after the ash fall that Colton included in calculating the population increase were small, ephemeral structures that probably served as field houses or other special-use locations rather than year-round dwellings. This implies that Colton was double-counting both these impermanent structures and the actual permanent houses of the people who used them, thus coming up with inflated population figures on which he based his “land rush.” The systematic nature of the survey in the 1980s provided the opportunity to determine just how many sites there really were and how many actually served as permanent dwellings. As Downum and Sullivan tell it, the results basically vindicate Colton’s critics. The vast majority of the structures found were small and relatively impermanent, with few artifacts. In addition, a careful tabulation of sherd types at most of the sites showed that the immediate post-eruption period, far from being the land rush of Colton’s theory, was actually a time of relatively limited occupation. There were more sites from this period than from the pre-eruption period, when the area was nearly uninhabited, but still not very many. It was not until a few decades later, starting around AD 1130, that building began to really pick up, as indicated by both sherd types and tree-ring dates. The high point of construction didn’t come until the 1160s, a century after the initial eruption. (It is actually not clear how long the eruptions continued after the beginning around 1064, and there may well still have been occasional activity by the volcano this late or even later.) Construction seems to have effectively ceased by 1220, and the area was probably abandoned not long after that. The upshot of all this for Colton’s theory is that, while it does seem to be true that the ash improved the suitability of Wupatki for agriculture, people didn’t immediate act to take advantage of this. Downum and Sullivan propose that this may have been because it took some time for the effects of the ash fall on the soil to manifest, but I think a more plausible explanation for this can be found by looking outside the immediate area to the larger region. The decades after 1130 were a time of extensive drought throughout the northern Southwest. 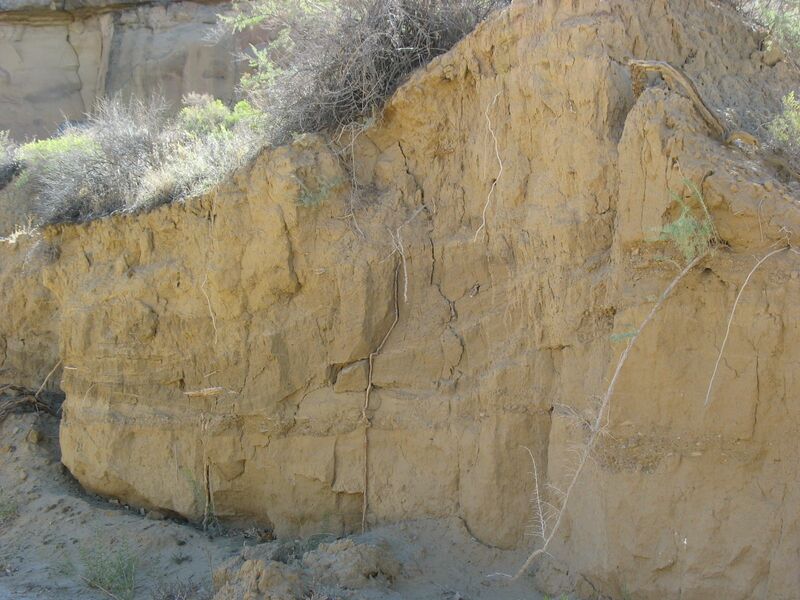 This is when Chaco collapsed (or at least declined), and there were likely extensive migrations all around the region. In this context, people may have come to Wupatki less from the “pull” factor of the beneficial effects of the volcanic ash and more from the “push” factors of drought and/or political instability elsewhere. Of course, there were at least some people farming at Wupatki before this, so the fertility of the area may have become well known at the same time as things were deteriorating elsewhere, making both push and pull factors part of the regional dynamics. In line with the arguments in the later paper by Downum and Stone, Downum and Sullivan here argue that agriculture for most of the period of occupation of Wupatki was extensive rather than intensive. They do claim, however, that intensification came right at the end of the occupation period, after 1220, on the basis of more intensive usage of the sites from that period based on sherd counts. This is kind of dubious, and it appears that Downum changed his mind about it in the eight years between this paper and the later one. Intensification at this can, however, be incorporated into the argument made in the later paper that intensification was impossible in this area due to ecological conditions. Once people began to leave the area, perhaps spurred by increased warfare and/or continuing climatic instability, those who remained would not necessarily have been able to secure access to the large amounts of land they had had claimed earlier as part of the consolidated political groups associated with the large pueblos in the Stone and Downum model. These few remaining farmers may then have attempted to intensify production on the smaller amounts of land available to them. 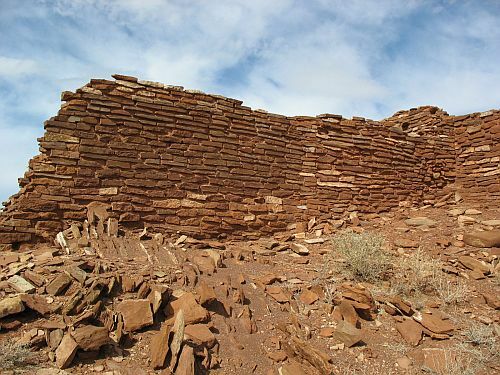 Given the aridity of the area, however, this would not have worked reliably enough to allow them to stay, so within a few decades or less they would leave as well, leaving the entire Wupatki area abandoned by 1275. Note that this is when the famous “Great Drought” associated with the abandonment of Mesa Verde and other areas began, so the aggregation and abandonment processes associated with Wupatki may well have been different from the similar processes elsewhere in the Southwest. Since I’ve been taking note of the scholarly context of the papers I’ve been discussing lately, I should point out that this one is very much an archaeology paper, and a classic processual one at that, with lots of statistics and an explicit model of interactions between people and the environment. This certainly makes it more “scientific” than, say, the later paper by Downum and Stone, which is more anthropological and not very scientific at all, but as with many such archaeological papers the scientific trappings are somewhat superficial. This is definitely not as rigorous an attempt at quantitative social science as the economics paper on plowing and gender roles I discussed a little while ago, for instance. I would therefore argue that this is only science in a somewhat questionable expansive sense, and not necessarily anthropology at all, despite the frequent claims of processualists to be doing “archaeology as anthropology.” Again, however, that doesn’t mean it’s not worthwhile scholarship. Regardless of how it’s classified, this is interesting research that can serve as a useful source of data for a variety of other studies such as the one Downum later did with Stone. The paper I discussed earlier on the connection between plow-based agriculture and highly inegalitarian gender roles was based on a theory proposed by Ester Boserup. Boserup was a Danish economist who had a lot of interesting ideas about the relationship between population growth and agricultural intensification. She’s best known for arguing that intensification of agricultural production is a response to population growth, rather than a cause of it as Malthus proposed. The basic idea is that the default mode of agricultural production is extensive, i.e., requiring a lot of land but relatively little labor. As population grows, however, the amount of land available per person declines, so people need to get more production out of each unit of land. This generally requires more work, and the amount of production per unit of work declines. That is, although the overall amount of food produced increases, the amount of food produced for the amount of work expended to grow it declines. Thus, people will only intensify agricultural production when they are forced to do so by increasing population. A 1999 paper by Glenn Davis Stone and Christian Downum (available here) tries to incorporate the criticisms of Boserup’s model into a recasting of the model that sees it as applicable only under certain circumstances, namely where increased labor is both necessary and sufficient to raise production. When this is the case, one option for coping with increased population pressure is what they term “Boserupian intensification,” which is basically the process Boserup described in which people work harder and get higher total yields but lower yields per unit of work on a fixed amount of land. There are other options, however, including migration and trade, for dealing with population growth in this context, and in other contexts where Boserupian intensification is not an option because of ecological conditions those other options comprise the whole set of possible responses. In conditions where intensification is possible without harder work, due to new technology or innovative techniques, population pressure ends up not being much of a problem. Examples given in the paper include raised-field agriculture in the Andes and rice paddies in East Asia. In other conditions, however, such as arid environments where the weather is very unpredictable, intensification through increased labor just doesn’t work to increase yields reliably, and population pressure becomes a very big problem that must be addressed through other solutions. Stone and Downum illustrate their proposal through an examination of Wupatki. 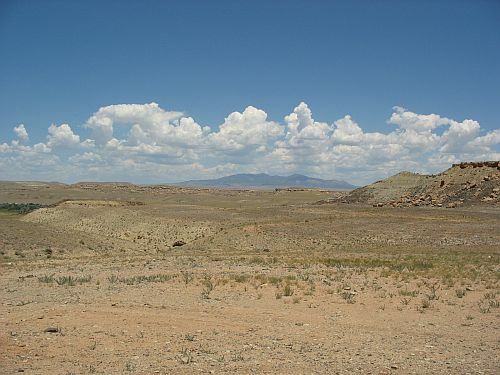 This is a very arid part of northern Arizona with similar climatic conditions to Chaco Canyon. Like Chaco, it was also (rather mysteriously) a major population center in prehistoric times. 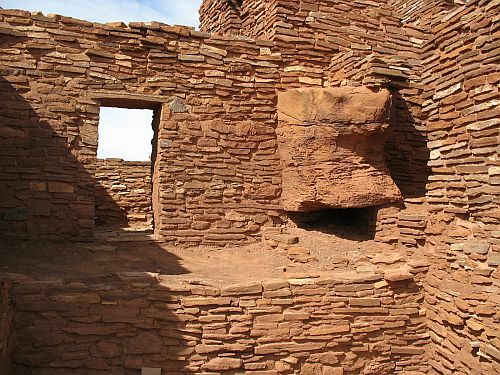 Wupatki’s heyday came mainly in the twelfth and early thirteenth centuries AD, a little later than Chaco’s in the eleventh and early twelfth. Many years ago Harold Colton of the Museum of Northern Arizona proposed that the rise of Wupatki was a response to the eruption of Sunset Crater Volcano in 1064, which covered the area with volcanic ash that served as a natural mulch and greatly increased local fertility, leading to a massive influx of population. This theory has been challenged more recently but it seems to still have a large number of adherents, and Stone and Downum seem to be among them. They take the idea of increased fertility from the volcanic ash for granted and look at what happened once people started to move into the Wupatki area. 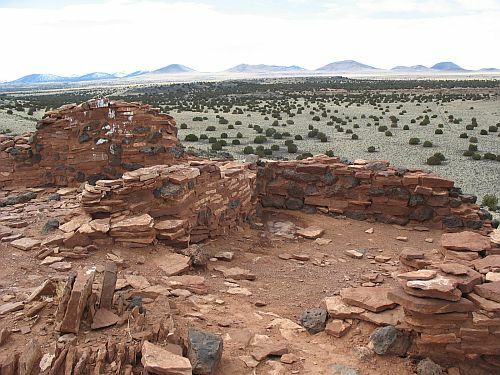 There have been proposals that the increased population pressure from immigration led to intensification of agriculture at Wupatki in a classic example of Boserupian intensification, but Stone and Downum look carefully at the evidence and conclude that there is very little evidence of any intensification. 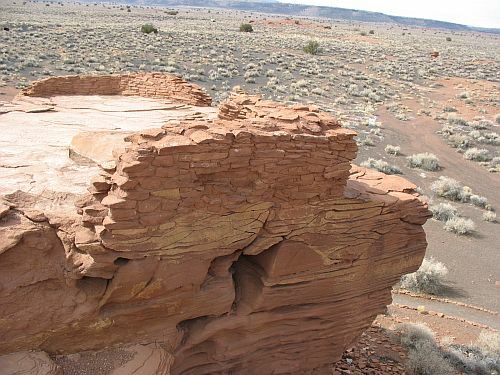 Instead, they argue that the vast majority of the Wupatki area is totally unsuitable for intensification; there are very few places where any kind of irrigation or floodwater farming can be practiced, and for the most part the only way to grow anything is to extensively dry-farm the open spaces. Thus, intensification was not an option, and other options for dealing with population pressure must have been pursued. The strategy they see as most likely is political consolidation to secure claims to land. Since the necessity of extensive agriculture made holding on to as much land as possible a necessity, coming up with effective means of demonstrating and enforcing land rights was a high priority. They see the most likely way this would have happened is the formation of political units organized along ethnic lines. 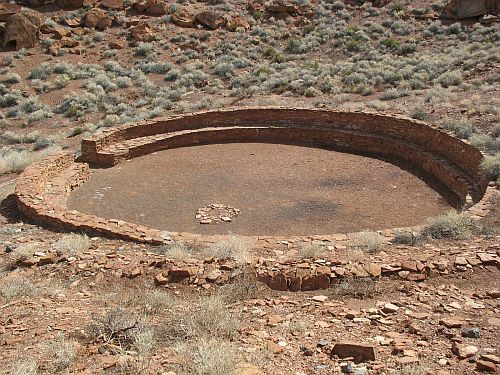 It is always difficult to recognize ethnicity in the archaeological record, but Wupatki has long been known as a “frontier” area occupied by people of three distinct archaeological “cultures”: Kayenta Anasazi, Sinagua, and Cohonina. These presumably don’t correspond exactly to “ethnicities” in the modern sense, but there are notable differences in material culture among the three, and Stone and Downum identify two main clusters of settlements including large, impressive pueblos. One of these, centered on Wupatki Pueblo, seems to show Sinagua affiliations, while the other, centered on the Citadel, shows more Cohonina affiliations. The place of the Kayenta Anasazi in all this is unclear. They don’t seem to have a cluster of their own, and Kayenta-affiliated sites are spread all over the area. To illustrate the plausibility of their interpretation of Wupatki, Stone and Downum rely on analogy to contemporary ethnic groups in central Nigeria. This is an area where Boserupian intensification is in fact possible and some groups have dealt with population pressure through intensification. Other groups, however, have responded instead by organizing along ethnic lines to defend their land claims through the threat and occasional application of violence. Stone is a sociocultural anthropologist and this part of the paper is based on his fieldwork in the area. This is a good example of what (sociocultural) anthropology can contribute to interdisciplinary scholarship. Ethnography produces an enormously rich, textured body of qualitative data that can be used to test hypotheses and models to explain social phenomena. Those models can come from anthropology itself, of course, but they can also come from other disciplines, such as economics in this case. Downum is a Southwestern archaeologist, and his role in this paper seems to be in providing the data about Wupatki. 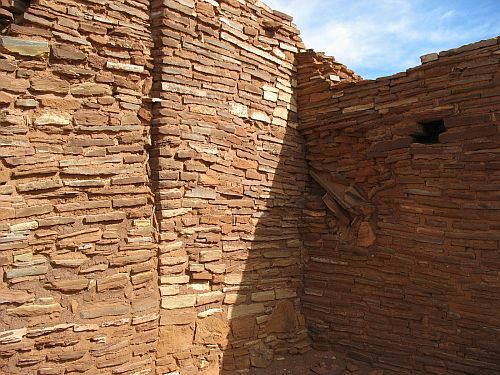 Much of the data comes from an extensive survey of sites within Wupatki National Monument which has greatly increased the amount of information available about this interesting but poorly understood area. I think the arguments in this paper are pretty plausible. 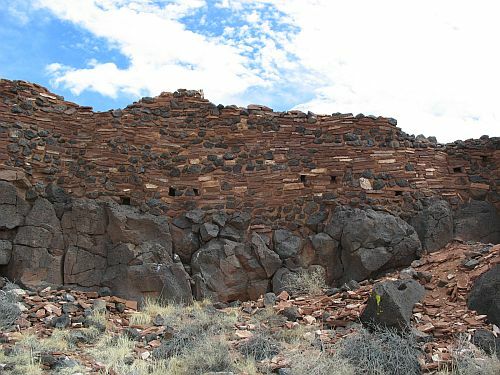 There are some questions about the application of the theory to Wupatki, but it seems to fit as well as any other explanation I’ve seen for the processes of aggregation and abandonment that marked this period of Southwestern prehistory. The basic idea is that aggregation occurred because of political consolidation, which came about to secure land claims in the face of population pressure and inability to intensify production. Along with this consolidation came increased conflict, and ultimately that conflict and poor climatic conditions led to abandonment. This is similar to the model I have proposed for the role of warfare in spurring aggregation and abandonment, although there I focused more on warfare specifically as a response to resource scarcity rather than political consolidation as the response and warfare as the result of that. This is really a difference of emphasis, however, and the basic idea is very similar. What Stone and Downum’s theory doesn’t explain, however, is the widespread nature of the aggregation and abandonment processes across the northern Southwest, even in places with much better ecological conditions such as Mesa Verde where intensification would presumably have been an option in a way it wasn’t at Wupatki. They acknowledge this, and make no claim to explain anything beyond the specific local situation, but it’s an issue that is worth thinking about in evaluating theories like this. Since I’ve been talking a lot lately about disciplinary issues in academia, it’s worth noting that this paper seems to be to be pretty much entirely a cultural anthropology paper. It uses archaeological data, and one of the authors is an archaeologist, but the overall analysis lies squarely within the realm of (sociocultural) anthropology. It’s well-done, too, and quite serious and empirical. I suspect its authors are probably among those who consider themselves “scientific anthropologists” and are outraged by the American Anthropological Association’s moves toward removing “science” from the definition of the field. I wouldn’t call this science, though. There’s no hypothesis testing or statistical analysis, and the analysis is basically comparative and qualitative. It doesn’t go so far in that direction as historical papers like Robin Ganev’s, which I discussed in the previous post, but it’s nowhere near as scientific as the economics paper on plowing that I discussed in the post before that. What I take from this is that scholarship doesn’t need to be scientific to be serious. Indeed, in a paper like this one of the main advantages is to take a more “scientific” theory like Boserup’s and evaluate it from a more qualitative perspective to define the unstated assumptions behind it and the conditions under which it applies. I still maintain that anthropology is not a science, but that doesn’t mean it isn’t worthwhile or doesn’t count as serious scholarship. I’ve previously discussed water control technologies at Chaco, where they were particularly important given the extreme aridity of that area even by Southwestern standards. There is abundant evidence, however, that water control was a widespread activity throughout the ancient Southwest, even in areas with more reliable water sources. The best-studied water control systems have been the impressive large-scale canal systems built by the Hohokam in southern Arizona, but less elaborate systems are known in the northern Southwest as well. Among the better-studied of these systems are those in the Mesa Verde area of southwestern Colorado. In comparison to Chaco especially this area is much more suitable for agriculture. The Mesa Verde proper in particular is high enough that it gets quite a bit of regular precipitation, and it is generally thought that the majority of agriculture on the mesa throughout its occupation was dry farming on the mesa top, depending only on direct rainfall. Interestingly enough, however, there is extensive evidence of water control features even in this more favorable environment. A detailed description of some of them can be found in an article by Arthur Rohn published in 1963. He focused on two main types of soil and water control: checkdams forming small terraces, presumably agricultural, along intermittent drainages and large reservoirs, probably for domestic water. 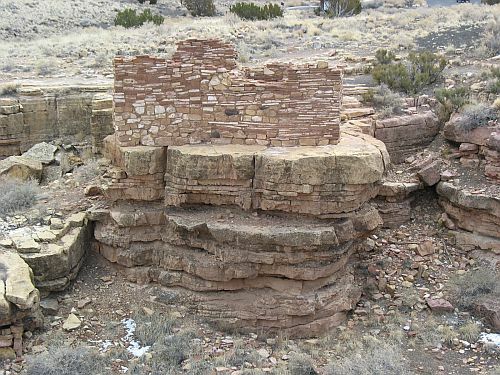 The checkdams, which have since been discovered in other parts of the greater Mesa Verde region such as Hovenweep as well as other regions of the northern Southwest (including Chaco), consisted of small masonry walls, laid without mortar, which served to hold back water and soil which would otherwise drain right off the mesa top during rainstorms. Some drainages had dozens of these, typically about a yard high and a few yards apart. Most had been breached at some point after the abandonment of the area and were visible only as rock alignments of varying lengths and heights, but some apparently still held soil and water back well enough that they were covered in vegetation, preventing Rohn from observing much about them. The agricultural function of these terraces is suggested by the frequent association with them of small structures generally interpreted as seasonal field houses. 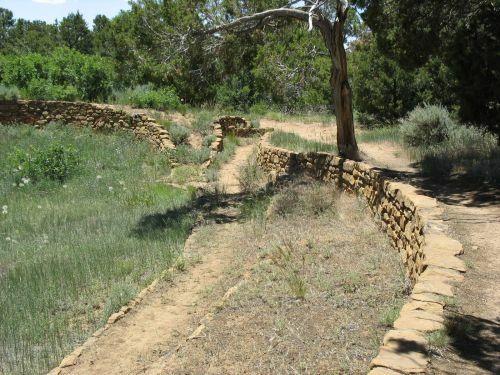 It is not at all clear, however, why the people on Mesa Verde would have needed to go to the effort to build all these terracing systems when they had so much fertile land right on the mesa top. Rohn calculated that the likely extent of the terraces added only about 1% of the total area of tillable land on top of the mesa. He suggested several potential reasons for their construction, including depletion of mesa-top soils, increasing population and subsequent need for more intensive farming, and cultivation of specialized crops of high value that made the additional effort invested in constructing the terraces worthwhile. Ultimately, however, Rohn had insufficient data to come to any firm conclusions about the purposes of the terraces, and as far as I can tell the situation has not improved much since his time despite the much more extensive paleoclimatic data now available. The other water control features that Rohn described were the large reservoirs associated with certain of the more densely populated areas of the mesa. Most of these consisted of large dams, much larger than the small checkdams, across certain canyon heads, where they likely impounded water either for use right there or to soak down through the porous sandstone to feed springs underneath. These reservoirs thus used the natural characteristics of the canyon heads and required relatively little additional effort to store water for human use. The best-known reservoir on Mesa Verde, however, which Rohn described in detail, was quite different. Rohn called it Mummy Lake, which was the standard name for it in his time, but it is now often known as Far View Reservoir. This is a large oval masonry structure, of mostly artificial construction and about 90 feet in diameter. 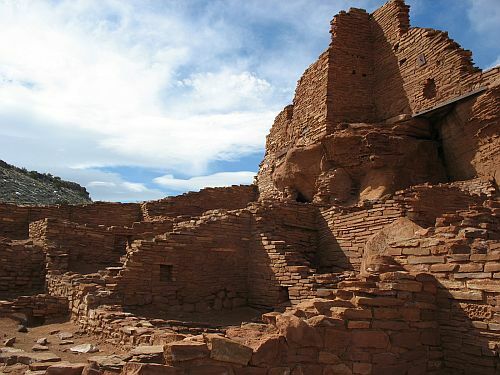 It is near the cluster of sites known as the Far View Group, including Far View House, which is often claimed to be an outlying Chacoan great house. These sites mostly date to the Pueblo II period in the eleventh and early twelfth centuries AD (contemporaneous with the height of the Chaco system), which makes them earlier than the most impressive sites on the mesa, which date to the Pueblo III period (late twelfth and thirteenth centuries AD) when Mesa Verde apparently had its highest population. The feeder ditch coming from the north did not empty directly into the north side of the reservoir, but rather ran by the west uphill side until it met the mouth of the intake channel at the southwest corner. There water was diverted into the inlet around a right-angle turn and conducted in a northeasterly direction into the reservoir. Such a complicated maneuver caused the suddenly slowed water to drop its silt burden in the intake channel, which could be easily dredged, rather than in the deepest part of the reservoir, where dredging operations would be difficult and would muddy the water. Trenching of the reservoir by Earl Morris in 1934 revealed that the original bottom lay about 12 feet below the intake. This would give the reservoir a maximum capacity of about 76,000 cubic feet, equivalent to about 1.74 acre-feet or 568,000 gallons. That’s a lot of water. Since there was no outlet from the reservoir, it presumably didn’t feed a system of irrigation canals. What, then, was this water for? Rohn’s answer, with which most other archaeologists have agreed, was that it was used for domestic water. Trenching of the walls of the reservoir revealed pottery of Pueblo II date, contemporaneous with the nearby Far View sites, which makes sense. A small ditch led off from the main ditch leading to the reservoir, emptying some of the water diverted from upstream into a small drainage with a series of checkdams similar to those documented elsewhere on the mesa, which were presumably farmed by the Far View residents. Most of the water, however, went into the reservoir, from which it could be easily extracted with pots and brought home for cooking and other daily uses. Residents of other parts of the mesa seem to have used nearby springs (perhaps fed by canyon-head reservoirs above them) for their domestic water, but there are no springs near the Far View group, so this elaborate reservoir seems to have been built to support the community there, which as Rohn pointed out was the largest concentration of population on this part of the mesa before the Pueblo III period. At some point in late Pueblo II or early Pueblo III a very elaborate ditch was built carrying water from the Far View area south almost to the very end of the mesa. This ditch skirts the Far View sites, suggesting that they were still occupied when it was constructed, but it heads toward the major cliff dwellings to the south that became the major focus of occupation in late Pueblo III. It’s not clear exactly what this ditch led to, but the fact that it heads toward the major cluster of sites including Cliff Palace, in an area with few springs but a very large population during late Pueblo III, suggests that it likely supplied domestic water for these sites, especially after the abandonment of the Far View sites allowed the intake channel to Far View Reservoir to be blocked and all of the water from the whole system to be brought south. 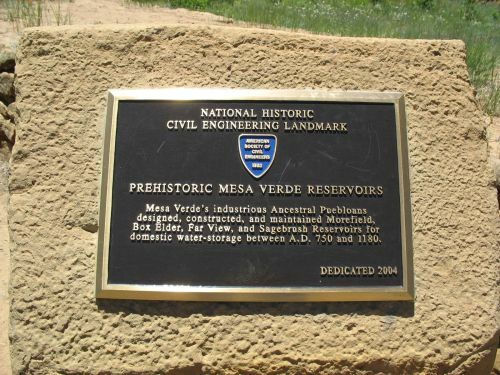 Rohn mentioned in his article that while Far View Reservoir is the only such reservoir known from this part of Mesa Verde proper, there are several other such facilities known from elsewhere in the region, especially in the Montezuma Valley to the northwest. A more recent article by Rich Wilshusen, Melissa Churchill, and James Potter (from 1997) provides a valuable summary of information known on reservoirs throughout the region, as well as detailed information on one reservoir studied intensively by the Crow Canyon Archaeological Center. 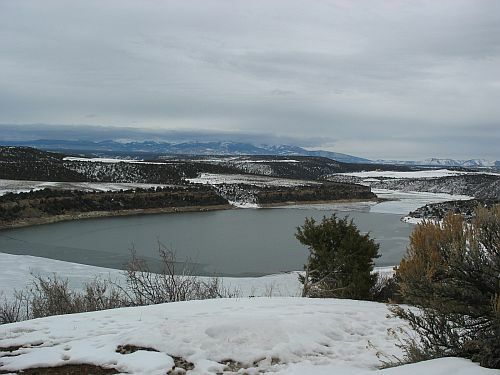 This reservoir is known as Woods Canyon Reservoir after Woods Canyon Pueblo, a late Pueblo III site nearby. Also in this general area are a Chaco-era (late Pueblo II) outlying great house known as the Albert Porter site and a site called Bass Ruin that apparently dates to the poorly understood early Pueblo III period, in between the decline of Chaco and the rise of the large aggregated pueblos and cliff dwellings in late Pueblo III. This reservoir much less elaborate than the Far View one, consisting merely of an earthen dam built across a natural drainage, impounding the water behind it. Excavation of both the dam and the impounded reservoir area, along with surface collection of sherds, showed that the dam was likely constructed during early Pueblo III or possibly earlier. An innovative use of tree-ring dates from trees growing on top of the dam in the 1950s, which must have begun growing after the reservoir no longer held water, put the date of dam failure at no later than about AD 1350. Assuming that it would have taken a century or two for the reservoir to fill with enough sediment for the dam to fail, the authors put the likely usage of the reservoir in early Pueblo III. These two lines of evidence converge nicely. Another striking aspect of the potsherd evidence was the extraordinarily high prevalence of white wares (77%) and of jars (71%). The predominance of white wares and the low occurrence of gray utility wares suggests that most of the sherds came from white ware jars used to carry water from the reservoir to habitation areas which broke in the process, and the lack of bowls shows that those habitation areas were not in the immediate vicinity of the reservoir. 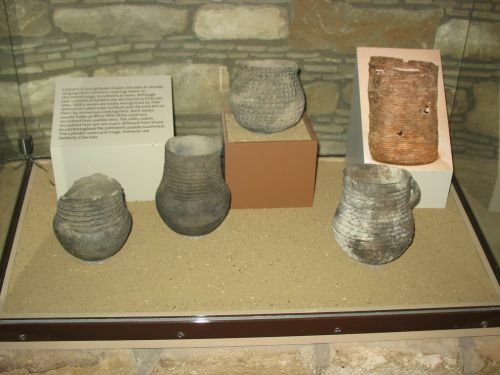 Habitation sites usually have assemblages consisting mainly of gray ware jars, which were used for cooking, with large numbers of white ware bowls, which were used to serve food, as well. The authors mention that previous work at Far View Reservoir (after Rohn) had shown a similar distribution of ceramic wares and forms, and the few sherds mentioned in Rohn’s article also show this distribution. Given this, as well as the lack of nearby canals or soils suitable for farming, the authors conclude that this reservoir was likely used primarily or solely for storage of domestic water, as Rohn had argued for Far View Reservoir. They also note that the dating was surprisingly early; these reservoirs are usually found in association with late Pueblo III aggregated sites, and there has been a frequent assumption that they served those communities. 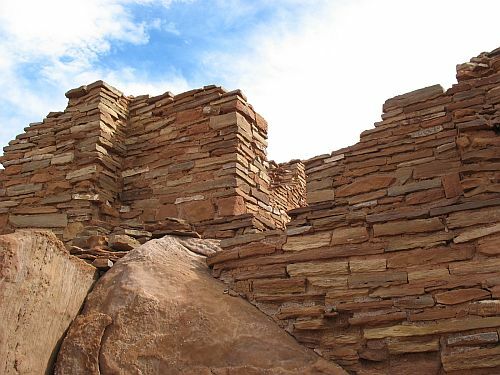 The evidence from Woods Canyon, however, suggests that the reservoir was actually constructed well before Woods Canyon Pueblo, at a time when the local population lived at Bass Ruin or even in the Chacoan community around the Albert Porter site. In addition to this interesting information about this one reservoir, the authors collected all the information available at the time on other reservoirs in the Mesa Verde region, including the extensive information published only in the so-called “gray literature” (i.e., reports from salvage excavations and other cultural resource management projects that are not easily available to the general scholarly community). 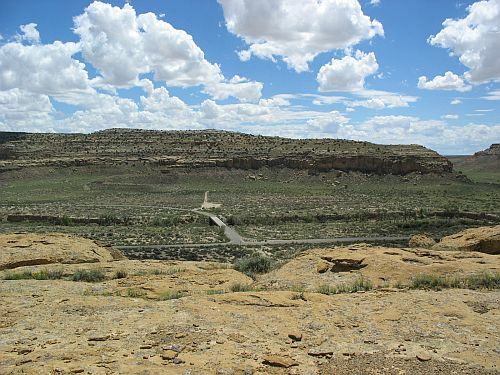 From this data set they find that there are two main categories of reservoirs: those built as integral parts of late Pueblo III aggregated villages and those like Wood Canyon Reservoir built near such villages but probably dating to an earlier period and associated with Chaco-era or immediate post-Chaco communities. This implies that these large reservoirs may not have been a response to drought as climatic conditions deteriorated in the twelfth and thirteenth centuries, as is often assumed, but that they may instead have been monumental public architecture, like great houses, great kivas, and roads, associated with Chacoan communities and used to sustain the large populations of those communities. As conditions did deteriorate, however, the existence of these communities and their dependable water sources may have encouraged others to join them, leading to the well-known process of aggregation and formation of large villages during the late Pueblo III period. Furthermore, the creation of these large, permanent features would have required substantial labor and indicated a commitment of a community to a particular location for the long term. This was likely a new development in the northern Southwest during Pueblo II, perhaps associated with Chacoan influence; previously, sites had been mostly occupied for quite short periods of time, and people seem to have moved very frequently. From the eleventh century on, however, the trend is toward increasing commitment to particular localities, although the actual sites in which people lived didn’t necessarily last very long. 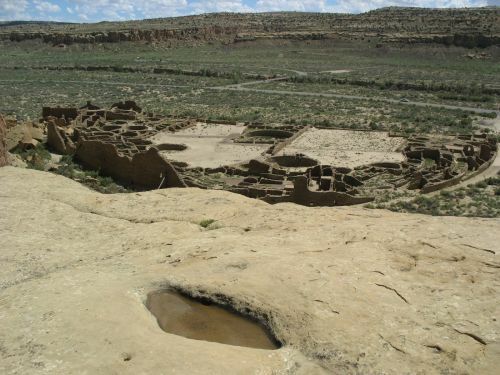 Multiple sites occupied one after another in a given area, with the general trend toward increased aggregation and more defensive locations, is typical throughout the Mesa Verde region in the period between AD 11oo and 1300, when the whole area was abandoned. 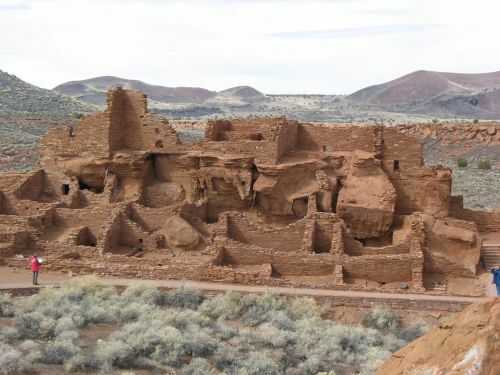 The role of Chaco Canyon, which is both one of the longest-occupied areas in the prehistoric Southwest and one where water control is most necessary, in all this is interesting to ponder. Finally, it’s worth noting the distinction between different uses of water here. The largest quantities of water would have been needed for agriculture, but only at certain times of the year, and with careful planning the seasonal rains and spring runoff could be harnessed to adequately water the crops. The amount of water needed for domestic use was much smaller, but it was needed all the time. Springs were likely adequate for domestic use as long as populations remained small, but as larger communities developed in some areas with few springs more elaborate measures were necessary to ensure sufficient water was available at all times. 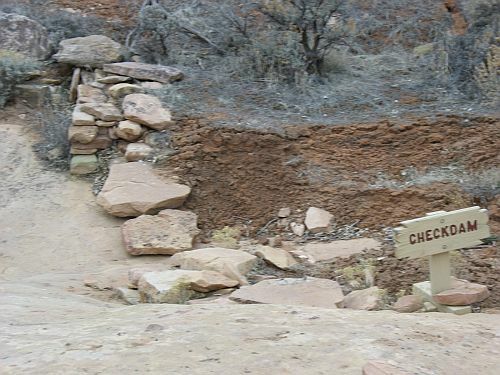 This was most obvious in very dry places like Chaco, but even better-watered areas like Mesa Verde began to have to deal with these issues as population increased and the climate changed.